I have yet to meet a vegetable I didn’t like (okra included), but the same can’t be said for my girlfriend. While I can happily feast on any vegetable that happens to be in season/in our fridge, K is a lot more selective. Now that she’s agreed to eat paleo with me – a diet largely focused on vegetables; none of which is potato – I’m redoubling my efforts to cook the kinds of veggies she’ll enjoy. Now, while I don’t discriminate, there are certainly some veggies I prefer. They happen to be the exact opposite ones that K prefers. So last night I found myself cooking no fewer than 10 different varieties: Broccoli, carrots, butternut, gem squash, peas, mushrooms, Brussels sprouts, zucchini, leeks and green beans. In all honesty it was pretty quick to do (except for the peeling of the butternut, which K actually did for me), and because I cooked so much, we have plenty left over for work and the next few days. If for whatever reason you also find yourself cooking entire harvests of veggies each night (I’m looking at you, SCD), these tips might help. Many of them were ingrained during the long hours of SCD prep! Cook (but don’t overcook) your veg. Many people with IBD or other digestive disorders is encouraged to avoid raw fruit and veg (especially when flaring) as it can be difficult to digest. That said, there’s no need to overcook your veg to the point of mush, because then you’re losing a lot of the goodness. Brussels sprouts, for example, need just three or four minutes. Cook more than you need. Putting in the extra effort tonight means less effort tomorrow and more time to watch Parks and Recreation. It’s also great to have cooked veggies in the fridge as a warm, filling snack. I always, always cook at least three days’ worth of veggies on a Monday. Use as little water as possible. Generally, I boil all my veg so that it can absorb the flavour of the herbs, spices and stock that I use. But there’s no need to drown your veg – just a bit of water prevents them from burning and helps them to retain their taste and crispness. Recycle the cooking water. Certain nutrients can be lost or diminished during the cooking process, so if I’m cooking all my vegetables separately, I keep using the same water with each new batch (topping up with kettle water if necessary). If I cook all the veg together, I keep the water (which is now more like stock) for the next time I cook veggies – which is bound to be in the next few days. This obviously doesn’t apply to gem squash and butternut. Read the labels carefully. 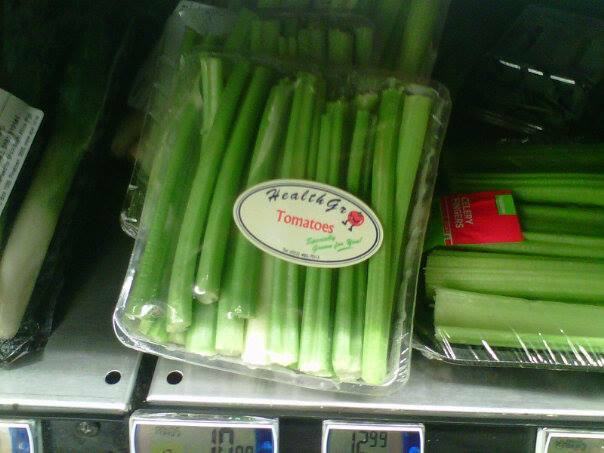 Not on your produce (although the photo below begs to differ – this was at our local supermarket! ), but on your seasonings. Some seemingly innocuous spices are actually full of gluten, maize, soy and even dairy-based additives, so you really have to be careful what you use. If the ingredients aren’t listed, it’s probably best to avoid it. If you’re following AIP, you have to be especially careful: Even if your spice is free of additives, it might still have other ‘illegal’ ingredients like pepper or tomato. I’ve been carb free for almost 43 hours. I’m doing fine. It’s all in my head. I’ve bread if you stay away from the kitchen it helps. And to keep a pizza biltong with you to nom on every now and then. I walked pasta sushi restaurant and didn’t even batter eye. 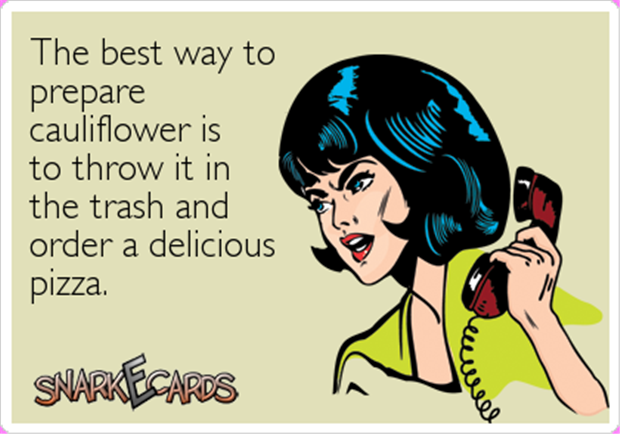 Not if you know how to make a cauli-pizza!